A computer in Taipei mayor Ko Wen-je’s office was the target of a cyberattack from China, according to a Taipei city government official. Lee Wei-bin, the information technology head of Taiwan’s capital city, told state media Central News Agency on Tuesday that a Trojan malware program was found on the computer of Ko’s secretary in April. The hack, which was traced to China, according to the government, was outed when officials in other departments of the mayor’s office received requests for the personal information of city advisors that the secretary never made. An initial inspection revealed that the infected computer targeted 11 other computers in the mayor’s office, but was unsuccessful, Lee said. Ko’s personal computer was not breached, and security engineers would check his home computers to ensure they remain secure, Lee added. Lee wanted to delay announcing news of the cyber intrusion in hopes that the perpetrators could be caught in the act, but Ko decided to make the case public in a City Council question-and-answer session earlier in the day. China Uncensored: What Have Chinese Hackers Got Against Dance? When Kuomintang legislator Wang Zhi-bing asked the mayor about the leaking of legislators’ personal information to specific Taiwan press, Ko said he would investigate the leaks, and then reportedly “exploded” and said that the mayor’s office was subjected to a cyberattack. Taipei’s police force will be conducting further investigations, city Taipei city government spokesman Lin Ho-ming. 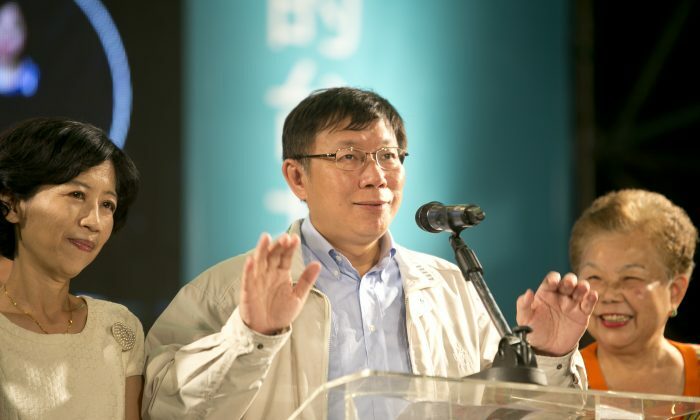 Ko Wen-je ran as an independent candidate in elections for Taipei mayor last year and won with a 850,000 vote margin over his rival. A photo of Ko—who is known for his simple manners and being a straight-shooter—taking the public subway without a security team went viral in January this year. Many mainland Chinese netizens drew a contrast between Ko and Communist Party officials, who are chauffeured everywhere and have many bodyguards. Ethan Gutmann, author of 'The Slaughter,' explains how a Taiwanese doctor stumbled across a dark secret.